Many Brutalist buildings have received criticism for their rugged and unappealing appearance. We highlight this architectural movement, illustrated via a selection of the best examples across the globe. These structures serves as great alternative tourist attractions for the more design-curious travellers. 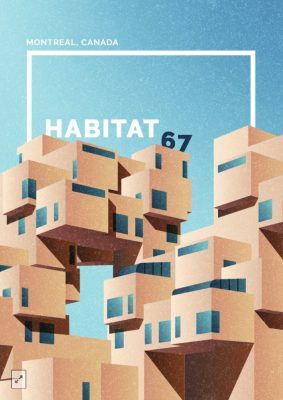 • Habitat 67 is known today as a key tourist attraction in Canada and also an icon of Canadian architecture. • Designed by Israeli architect, Moshe Safdie, Habitat 67 is a community and housing complex in Quebec, Canada. • The intricate complex was designed to combine the perks of suburban homes and the economic structure of urban apartment buildings. • Safdie wanted to illustrate how this new lifestyle allowed for people to live comfortably in crowded cities. • The Brutalist building consists of 354 identical concrete units that reach up to 12 stories in height, which create 146 residences. • Located in the south of Marseille, The Unité d’habitation (Housing Unit) was designed by one of the pioneers of Brutalism, Le Corbusier. • Built between 1947 and 1952, this housing unit consists of 337 apartments all placed on stilts. • The building also consists of leisure, medical and school facilities, along with a hotel of 21 rooms. 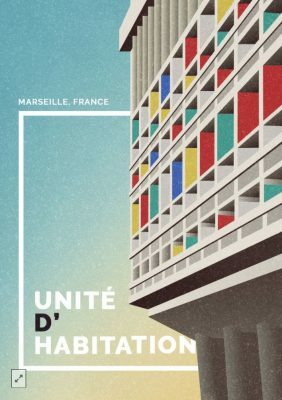 • Unité d’habitation was Le Corbusier’s way of experimenting with a new style of housing, making this building an iconic symbol of Brutalist architecture. 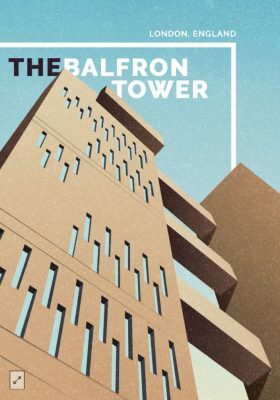 • The Balfron Tower was designed by architect Ernő Goldfinger for the London County Council in 1963. • It was constructed between 1965 and 1967. • The 26-storey residential tower was once under threat of demolition but in 1996 it was saved and listed as a Grade II building. • The Balfron Tower was featured in Oasis’ music video, “Morning Glory”, and Danny Boyle’s horror film, “28 Days Later”. 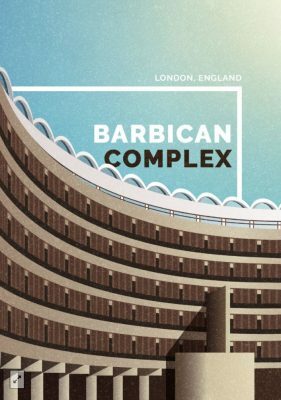 • The Barbican Complex in London is a largely residential estate, widely regarded as the pinnacle of Brutalist architecture. • It houses more than 4,000 residents and is also home to the Guildhall School of Music & Drama and the London Symphony Orchestra. • The complex is located in the heart of London, making it a perfect hub for world-class arts, learning and residencies. • Bombed in World War II, the site was re-designed by three award-winning architects at the British firm Chamberlin, Powell and Bon. 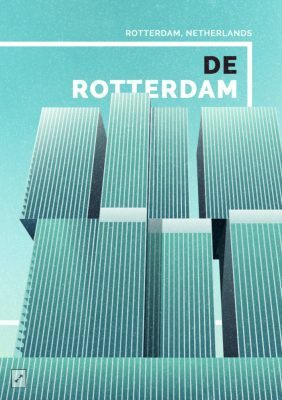 • Designed by Rem Koolhaas in 1998, De Rotterdam is known as a “vertical city” and functions as both a residential building and office space. • The complex was officially completed at the end of 2013 and it’s the largest building in the Netherlands. • The building’s three interconnected towers are all 150m high and share a six-story plinth. • Koolhaas was inspired to create an apparently conjoined tower that separated and merged depending on your viewpoint. 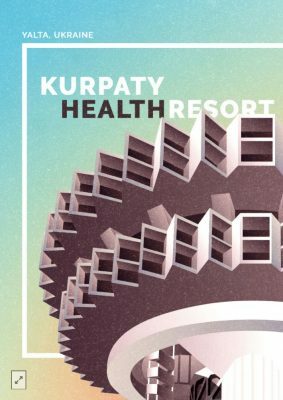 • Named today as The Kurpaty Health Resort, this building is more commonly known as the Druzhba Sanatorium or Druzhba Holiday Centre. • It was built in 1984 by Igor Vasilevsky and is found in the city of Yalta, Ukraine. • The Soviets took pride in their philosophy of rest and leisure and saw it as an integral part of socialism. Kurpaty was a symbol of the decree. • Despite waning popularity, the resort is still functional today with much of its Soviet interior remaining part of its design. • Constructed between 1956 and 1958, Torre Velasca (Velasca Tower) is a skyscraper in Milan, Italy. 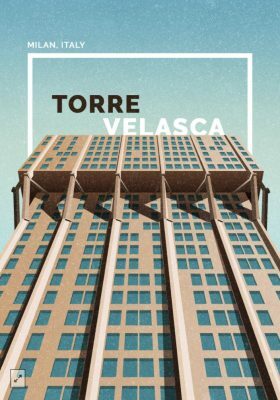 • The Velasca Tower is a popular tourist attraction combining fine 19th-century Italian architecture with Brutalist characteristics. • The tower is situated near other classic tourist buildings such as the Cathedral (Duomo) and the Castello Sforzesco (Sforza Castle). • Concrete was the material of choice for the Velasca Tower as the price of steel in Italy was incredibly high at the time. 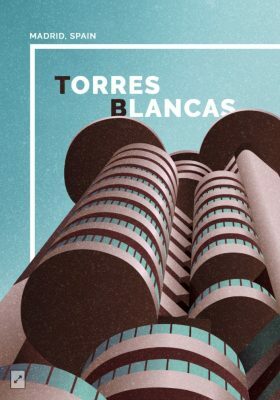 • Torres Blancas was designed by architect Francisco Javier Sáenz de Oiza in 1964 and construction was finalised in 1968. • Despite the plurality in name, Torres Blancas only consists of a single tower 71 metres high. • The building’s façade was intended to be white concrete, (hence the name ‘White Towers’) but the material proved to be too expensive. • Torres Blancas has 23 floors and both residential and office space. There are rooftop gardens on the top two floors. • Hotel du Lac was designed by Italian architect Raffaele Contigiani in 1973. • The hotel became a postcard landmark for Tunisia and highlighted how the Arab country was in touch with the modern, Brutalist ventures. 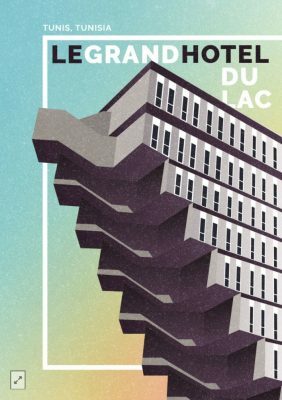 • There have been numerous claims that Hotel du Lac inspired George Lucas’s “Sandcrawler” fortress in Stars Wars: Episode IV – A New Hope.